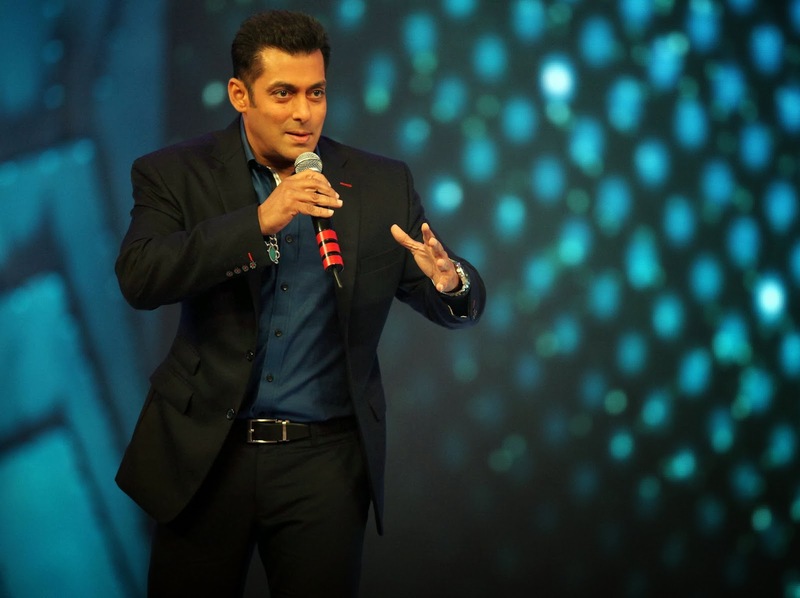 Salman Khan has come under severe criticism for performing at the controversial Saifi event organized by the Samajwadi Party. Reacting to those who have accused Salman of not being sensitive towards the riot victims, Khan has made his stand clear. Whenever I visit a place for a performance or a promotion, I see it as an opportunity to help the locals in the areas of healthcare or education. In Nagpur, on Sunday, Being Human pledged to fund 100 paediatric cardiac cases in Maharashtra State. 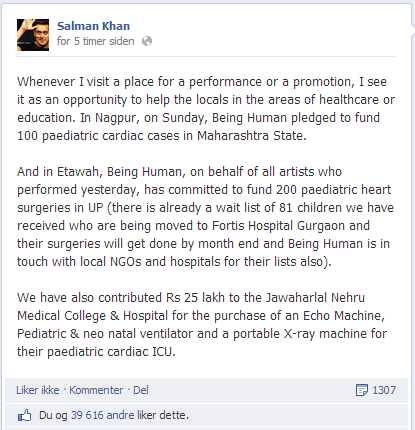 And in Etawah, Being Human, on behalf of all artists who performed yesterday, has committed to fund 200 paediatric heart surgeries in UP (there is already a wait list of 81 children we have received who are being moved to Fortis Hospital Gurgaon and their surgeries will get done by month end and Being Human is in touch with local NGOs and hospitals for their lists also). We have also contributed Rs 25 lakh to the Jawaharlal Nehru Medical College & Hospital for the purchase of an Echo Machine, Pediatric & neo natal ventilator and a portable X-ray machine for their paediatric cardiac ICU.